Last week the government (Department of Social Development) and several pro-abortion organisations hosted a five-day international conference with the ominous name of “Abortion and Reproductive Justice: The Unfinished Revolution” at Rhodes University in Grahamstown. The gathering of 285 delegates from 26 countries, whose “unfinished revolution” is about making legal abortion-on-demand more accessible and socially acceptable all over the world, was arranged without much fanfare, catching pro-lifers slightly off guard. But a number of Christians in Grahamstown and from elsewhere in South Africa who value the sanctity of life, scrambled to make a stand for life during the event. 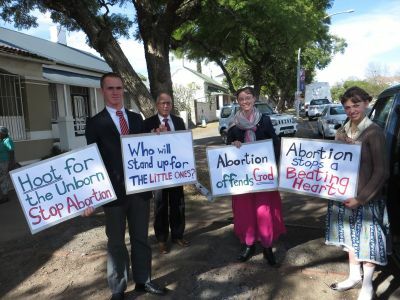 Out-of-towners included Peter Throp of Value Life, from Cape Town, who parked his “pro-life mobile” which is covered in pro-life slogans and scriptures, outside the conference venue daily, and a five-man team from Family Action SA, who travelled from Ladismith, Western Cape, to pray and protest peacefully outside the venue. “It was with this in mind and the conviction that we could not be idle in the face of the ‘culture of death’ being so brazenly and boldly professed, that on 9 July, a five-man team from Family Action South Africa took the road from Ladysmith to Grahamstown. Their mission: a public rosary rally and peaceful protest against the international “Abortion & Reproductive Justice: The Unfinished Revolution III” Conference being held at Rhodes University from the 8th to the 12th of July. “The goal of the Family Action SA mission was threefold: to make a public act of reparation to Almighty God for this stain on our land, to pray for the frustration of the conference’s goals and for increased resistance from the various sectors where the abortion lobby is meeting opposition/inertia/rejection. 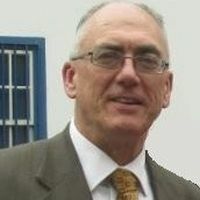 In addition, we sought to pray for the mercy of God upon our country, make the public aware of the seriousness of the conference and give some fraternal support to others in the trenches – in this case notably, Peter Throp of Value Life, who himself had courageously taken the long road (870km) to Grahamstown. “Armed with an assortment of classic ‘sidewalk placards’, we sought an ideal spot to be seen and heard! ‘Hoot for the Unborn’, ‘Women Need Love, Not Abortion’, ‘Real Doctors don’t kill Babies’, ‘Abortion stops a Beating Heart’ and ‘Abortion offends God’, were some of our attention-getters. “We finally established ourselves at a crossroads close to the venue, strategically positioning ourselves with the various placards. We simultaneously unfurled our three-metre wide rosary banner inviting the public to join our prayer effort. We were also joined by Peter for this action. “The weather was perfect and the response was very encouraging to say the least. The rally lasted for an hour and a half during which time there were over 200 hoots! It is not often that one appreciates and enjoys the discordant sound of hooters! But this was music to the ears! “In fact, I was encouraged and pleasantly surprised by this unusual manifestation of support for the plight of the unborn. And this was in a time of relatively mild traffic flow… This type of manifestation is common in America but here in South Africa we do not have a culture of such protest action, so it was interesting to gauge the level of support for life – which the media narrative would have us believe to be irrelevant. “Towards the end of the rally, a Zimbabwean lady came by and asked if she could take a picture with us. She mentioned that she and her husband were attending the conference, but that she personally was against abortion and her husband (a gynaecologist) was not actually in the business of abortion! It was a good lesson to us not to write off participants per se as sometimes there are circumstances which would place such people actually on our side! It was evident to us that we were also seen and heard by other conference participants. “There was some opposition of course, but very little in comparison to the support we received. Several people drove past and made rude finger signs, which have become such knee-jerk responses from certain quarters. One woman walked by and having read our ‘Abortion offends God’ sign, said: ‘You offend me.’ A little while later, two young Malawian women engaged one of our party for a good while on the merits of being ‘pro-choice’, after which the respective parties parted ways agreeing to disagree. While our team member was talking with the two women, a man walked up and swore in his face and asked the women if they agreed that we should be thrown off the campus. It was pointed out that we were on a public intersection, after which the man swore again before walking away. “The SABC was covering the conference and honed in on our banner and posters. They also conducted an interview with us, which was aired the following morning on SABC Morning Live. “It must be abundantly clear that a lack of respect for the rights and life of the smallest, vulnerable and most defenceless inevitably seeps into the bigger culture and can only cheapen notions of the sanctity of life. 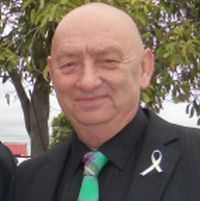 “One of the stated aims of the conference was to ‘destigmatise’, on the social, political and religious planes, easy and unfettered access to abortion – in other words to change mindsets, cultures, sensibilities; to numb consciences as to the awful reality constituting the ‘termination’ of life in the womb! “Prior to the trip we had sent out an email to thousands of our friends and supporters and we felt palpably the presence of these who joined us in prayer and spirit. Peter Throp filed this report on his mission during which he — assisted by some volunteers — distributed 10 000 pro-life flyers. “I have returned home safely. I would like to share testimony as to my experience during the seven days visit to Grahamstown with the Holy Spirit. “My observation and reflection is that this infiltration of the ‘death peddlers’ to promote a revolution in the destruction of innocent life, was repelled as it was not well attended. “I had discerned with our Lord and prayed for guidance since being alerted, and the ‘pull’ to lift up the TRUTH was driven in me by the power of Almighty God. With my dear wife’s support, I left Cape Town for East London to include a visit to my sister, planning to arrive in Grahamstown in time for the 4 days of the conference, on the Saturday. As it happened, the ‘pull’ was so strong that my visit to family was cut short and I arrived in Grahamstown on the Wednesday, 3 days early, thus the pro-life message was present and viewed for a full 7 days. “The Holy Spirit then brought me to divine meetings with some of His other sheep and now that they were aware of this demonised intrusion, I was privy to seeing the increase in prayer group activity including prayer for my wellbeing. One prayer warrior even made room for me at the ‘Inn’. Praise the lord. “These prayer warriors were offended at the powers that had brought this evil to town. This prayer activity had power as the message ABORTION IS EVIL was the subject of attack by what is becoming known as intolerant liberals i.e. totalitarians. A local Facebook page was shut down after displaying 160 blasphemous comments. (See attached photo that was posted by someone on said Facebook). “Shut down by the power of praise to our King.) A read of 2 Chronicles Chapter 32 could be beneficial to people of the Word. Take note of Verse 21. God will not be mocked ! “The age old truth is that ABORTION kills babies. These unique individual lives are all a gift from God made in His image. So is it so difficult for us to apply Genius 6:6 to our present day?? “In conclusion, I was graced to deliver a message and I believe that God has placed a warning on the good people of Grahamstown to raise up and be heard in their disgust that this intrusion of the secular death peddlers should be allowed to infiltrate their hamlet. “I add that I was allowed to see the positive force of to “ EXPOSE LIES, LIFT UP TRUTH” by the direction of the Holy spirit and I am at a comfortable peace in hope. A Grahamstown businesswoman who also lent support to Throp — and who did not want her name to be published — had this to say: “I have been fighting this evil [abortion] for many years. I was so humbled by Peter’s passion for the cause. I have distributed most of the tracts and have placed some at the state clinic. 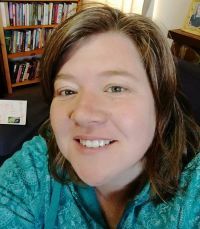 Leanne Kelly, who has lived in Grahamstown for 16 years felt compelled to respond to the hosting of the international pro-abortion conference in the city. After considering the most appropriate and effective response, she decided to mobilise a group that would commit to sustained prayer throughout the conference period. This is her report: “I only heard about the conference the week before. It was obviously something that stirs one — especially because it was stated in the media brief that there would be no pro-life representation at all in the conference. It just seemed to me that the conference was a very one-sided affair. And Grahamstown really does pride itself in its liberalism, and is a town of boundary-pushing and boundary-defining — and boundary-destroying. Some of that is a good thing and some isn’t. Some boundaries shouldn’t be broken and when I read about this conference I thought about what the Christian response in the town should be. “So I sent a voice note out to friends who I know are serious about praying and feel the same about the issue of abortion…. I encouraged people to choose slots that spanned every day so we would be covering each day of the conference consistently…. “One of the stories that God brought to mind as I was thinking about what to do was Nehemiah rebuilding the walls of Jerusalem after they had been broken down — and the responsibility placed on people to rebuild the section in front of their own home. And because this conference was happening in our town I felt it would be inexcusable not to take some responsibility for bringing it before God and interceding very intently about the issue. “It was nice to have Peter Throp in town. It certainly raised a lot of hubbub on social media, The Grahamstown social media group was ringing with all kinds of things — most of it pretty insulting and awful, but for the most part I think the Christian responses on the group were good. [Later when she felt the content of the threads were getting demeaning she reported it to the administrator who wisely removed them.] … Although one feels offended when one reads terribly blasphemous things on a thread like that, I think in the end I was feeling more fearful for the people who were saying them — realising they were speaking out of an incomplete knowledge and no personal revelation of the realness of Jesus. I really felt Jesus’prayer echo in my mind — ‘Father forgive them, they don’t know what they are doing.’ … I think we were just praying for mercy as well for those who were saying those things. “It didn’t feel like a particularly noteworthy thing to me, but one just trusts that these things in the spiritual realm are more significant than we know. God has given us the gift of prayer and He has told us that our prayers avail much — the prayers of a righteous man. And because we understand our righteousness is wholly received from Jesus, we also stand in this amazing hope that our prayers avail much. Thank you for your courage and faithfuness to the cause of defending preborn babies. What about if one is brutally raped. Would it be right to allow the woman to suffer? It is still killing a baby. A unique individual life made in the image of God, like you are Jose. Well done to the team in Grahamstown! Peter Throp is a Caleb of our time. He took his retirement as an opportunity to fight the evil of abortion in our country. A while back I read a great article on one of the lives he has saved. A pregnant woman, on her way to the abortion clinic in Cape Town, read one of Peter’s flyers. She decided not to go through with it and had the baby instead. They met some time later and Peter had the joy of seeing the results of his work – an encouraging testimony. South Africa has much blood on its hands, and badly needs a Holy Revival of pro-life and agape love. May JESUS reign in our hurting and beloved land. Thank you so much to all of my fellow Christian brothers & sisters who were obedient to the prompting of The Holy Spirit and gave of their time and effort in standing against this evil through prayer, protest and action. God honours you for what you have done.